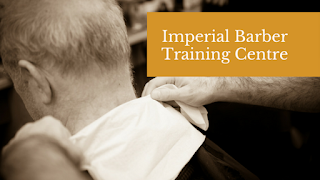 A recent graduate tells us about their experience with Imperial Barber Training Centre. "Barbering was the perfect choice when it came to deciding what to do with my career, as I am a military wife. It is a trade you can take with you everywhere you go, but that is not the only reason. It is an art that requires discipline and creativity to transform someone’s hair into something amazing using simple tools. When a client walks out of the barber’s feeling like a million bucks, I feel proud of my work. Barbering is not just about cutting hair, it’s more than that; it’s about building a friendship and bond with a person you see every few weeks. After taking a course and graduating from Imperial Barber, I felt satisfied and accomplished knowing I had improved upon my barbering skills. The staff were amazing and gave me the tools to be job-ready." Jeff Gilby is an Ottawa barber who takes us through the traditional tricks of the trade.